Embracing the principle of quality over quantity, Adler Hostel offers just 32 dorm beds with privacy curtains, silky soft bedding and lots of freebies. 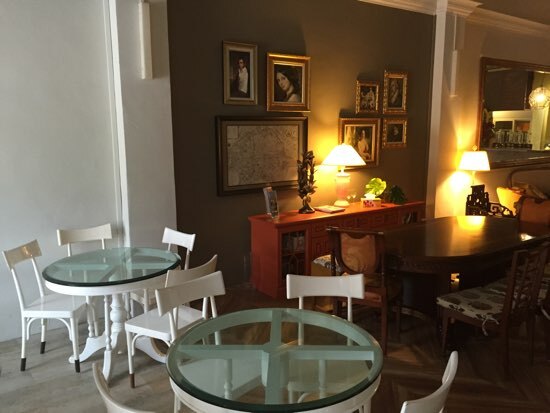 No wonder it calls itself Singapore’s first luxury hostel. 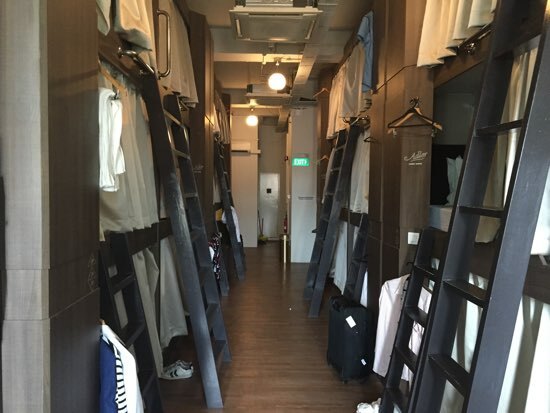 Located in a heritage building on South Bridge Road in Chinatown, Adler Hostel has a sophisticated style from top to bottom. The lobby looks like it belongs to a boutique hotel, not a hostel, and is decorated with framed artwork, antique-y furniture and vases of fresh orchids. A cosy seating nook boasts a library of travel books and a large TV immediately behind reception if you need to cool your heels while you wait for your bed. A dorm with a view. The theme continues to the dorms, with dated prints and recliner lounges dotted around the place. The dorms themselves are spread across three floors of a separate building a few doors down from reception. Breakfast is on the ground floor, then there is a female dorm, a mixed dorm and up top a dorm of doubles pods. Beds are quite generously sized for a pod, perhaps partly because they are “long” rather than “deep” (meaning one whole side is open rather than just the feet), so they feel less claustrophobic. Unusually for Singapore, the pods are reached by sturdy wooden ladders and are stacked three high. The top level is really quite high — another guest who checked in at the same time as us wasn’t at all impressed with the height and asked to be switched to a lower bunk (which was done). If you’re not comfortable with heights, specify you want a low bunk when booking. On the upside, the top level pods are very private! The overall setup resembles a sleeper car on a train. Each “cabin” dorm bed is designed to be just as comfortable as a first-class ride with a thick mattress, silky sheets, a down quilt and two pillows. A privacy curtain allows you to turn your dorm bed into a private sanctuary complete with an interior locker, a reading light and a universal power point (perfect if you forgot to pack an adapter). 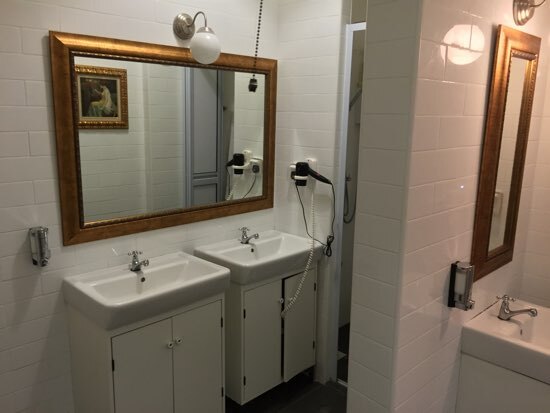 Adding to the intimate feel, the bathrooms and showers on your floor are reserved for only your dorm, so you’ll only be sharing with your room-mates, though with only three showers you can expect some queuing at rush hour. 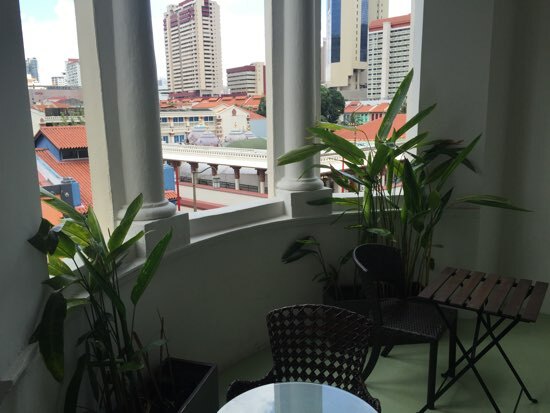 The mixed dorm also has a comfortable balcony overlooking South Bridge Road with a couple of table settings — an ideal spot for a cold drink in the afternoon. Adler Hostel distinguishes itself by having no extra fees for necessities like WiFi, a clean towel, a locker and a hot breakfast. Furthermore, the dorms are air-con 24 hours a day, the rainshower bathrooms are stocked with shower gel and there’s always a bowl of fruit in the kitchen. The staff are eager to please and can recommend places to eat, hook you up with discounted tickets to attractions like the Singapore Zoo or even mail your postcards. Shared bathrooms are clean with more art. Location wise, you can’t get much more central in Chinatown than this. You’re easy walking distance to Maxwell Food Centre, Sri Mariamman Temple and the Buddha Tooth Relic Temple. Despite South Bridge Road being a quite busy throughfare, we had no problems sleeping in the well-chilled dorm. 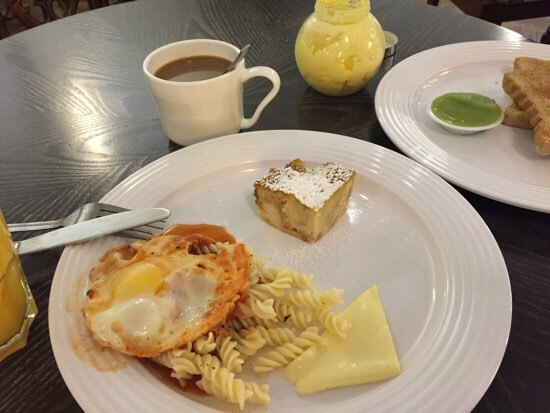 Complimentary breakfast: At least Maxwell is just up the road. Best yet, a night at this luxury hostel costs less than you probably think with rates for single pods starting at around the S$50 mark. 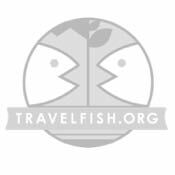 This is a very popular hostel and booking in advance is recommended. If they’re full, try Wink, which is similarly priced and just around the corner. Check rates at Adler Hostel on Booking.com. Room: Dorm air-con, low season: S$55, high season S$55. Notes: Single pod.